I remember when I was 11 years old, I used to use my Mum’s GHD’s before I had a pair of my own and they have been a huge part of my daily life for as long as I can remember. I think in total, since being about 12/13 years old (I’m now 22) I’ve had about 3 pairs of GHD’s and used them everyday. 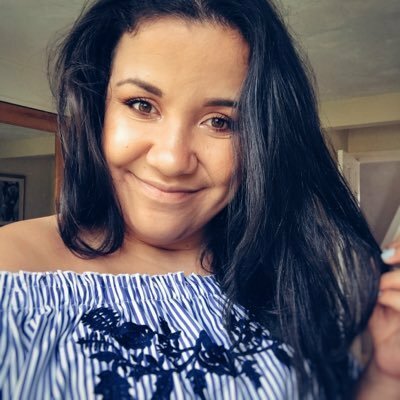 I’m a natural curly haired girl and to make my hair routine easier, I wouldn’t be able to cope without my hair straighteners. 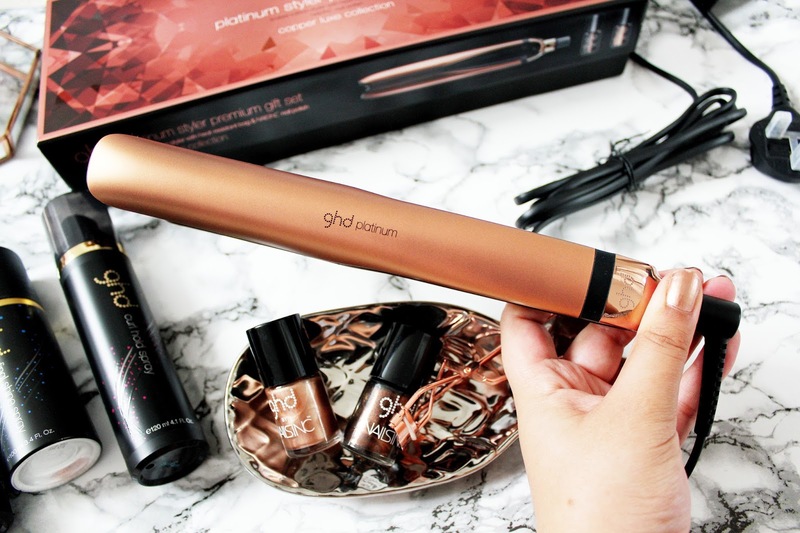 When GHD contacted me about reviewing their latest copper luxe gift set, I was BEYOND excited. 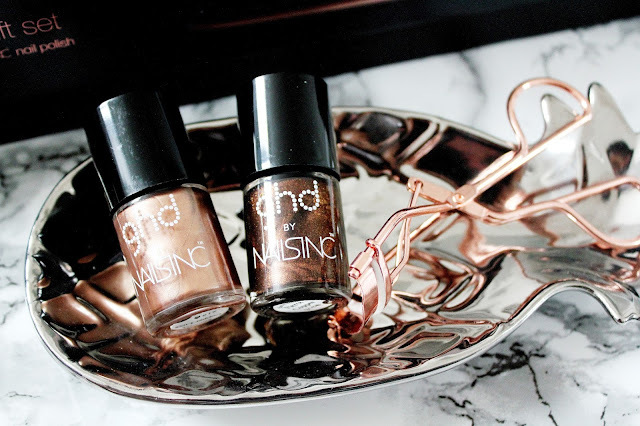 Like the sort of excited that I just had to tell everyone that GHD had emailed me and even better that I got to update my current GHD’s with this gorgeous copper set. You’ve probably seen these numerous times online already, and for a good reason as they are incredible *insert heart eyes emoji* and the luxe premium gift set is in collaboration with Nails Inc and comes with two gorgeous rose gold/copper nail polishes which have been on my nails every since I received this set about 10 days ago! 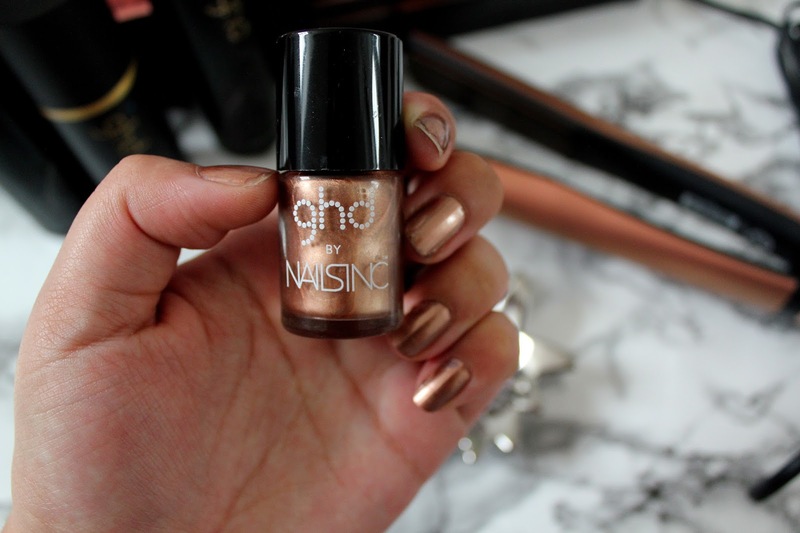 First of all this set is ROSE GOLD who doesn’t love rose gold? This is an absolutely stunning set and to be honest for a little while I didn’t even want to use them as they are too pretty! I’ve never owned a pair of GHD’s which aren’t black and so I am a little bit obsessed with these! 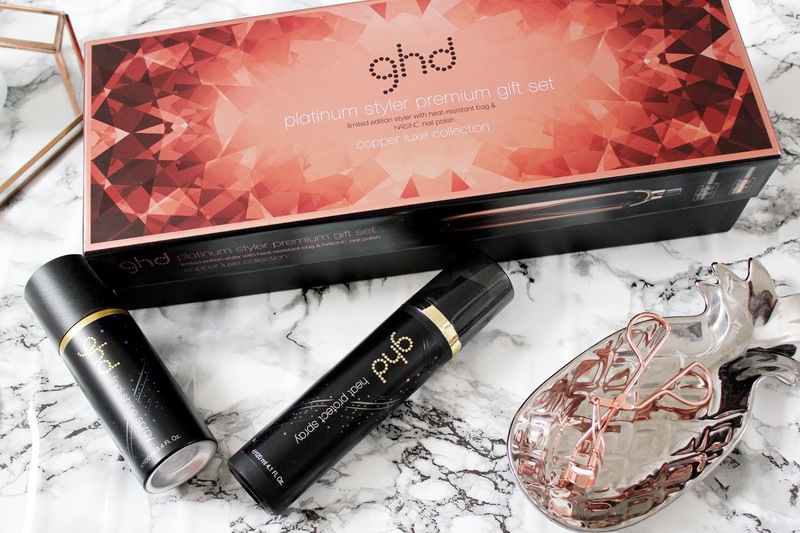 If you’re looking at these straighteners and thinking they are the same as the normal GHD’s, these platinum stylers are designed and have been tested to reduce hair breakage and increase shine thanks to the Tri-zone technology within the plates of the straighteners which makes this set better for your hair as well. I straighten my hair nearly everyday day and so this is a complete game changer for me as I know my hair is receiving less damage with these straighteners and they also come with a heat proof mat which makes these perfect for on the go as well. 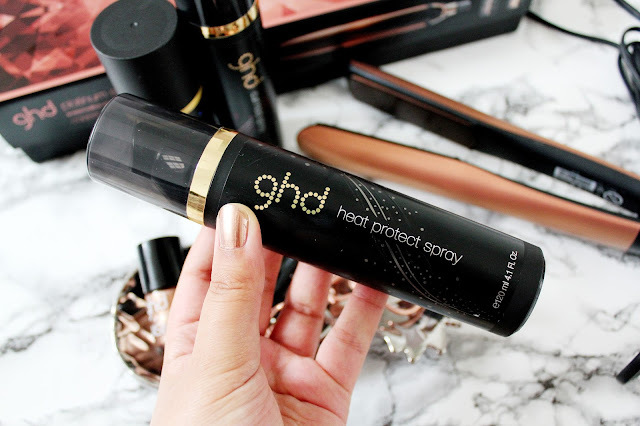 I’ve also been trying out the heat protection spray from GHD, which I’ve never tried out before, and I really like it. 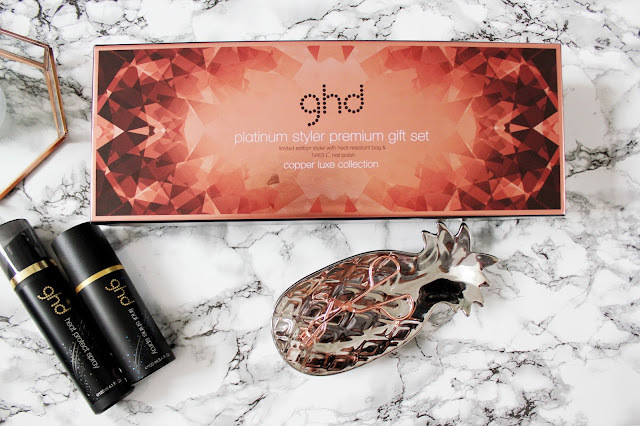 I am normally a Toni & Guy fan but I definitely will be trying out this spray again once I’ve finished this bottle.This spray can also be layered with other styling products to create the result you desire. I like using this when I’m blow drying my hair and just before I straighten my hair. 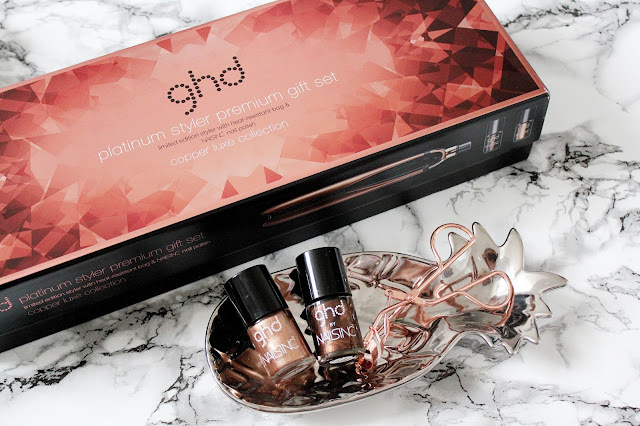 This platinum copper luxe premium set retails at £175 and would make a perfect gift this Christmas for any beauty lover! 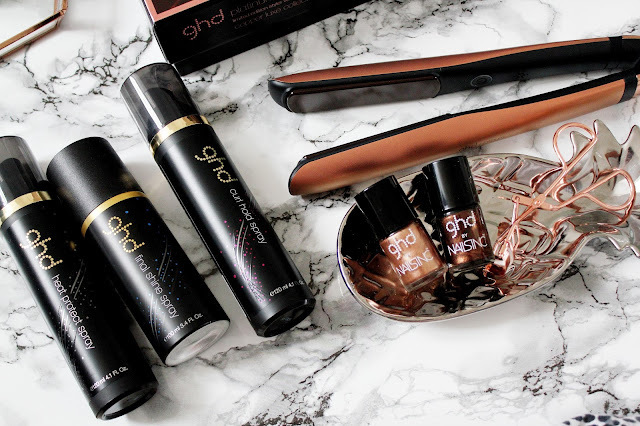 Are you a fan of GHD? Oh my gosh girl.. I so need this one!